"The Spread Eagle in Camden is opening its doors to celebrate the life of the national bard from 6pm. 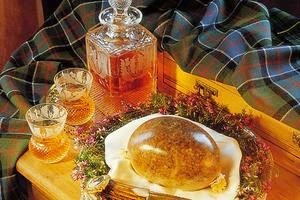 Dinnae miss the three course Scottish feast (£25) including traditional smoked haddock soup Cullen Skink; followed by an 8oz 21-day aged Aberdeen Angus sirloin steak; or alternatively Burns Night favourite haggis; and finish with Keen’s cheddar, oat cakes and chutney. Free wee dram of Glenfiddich"